When Jesus says yes, nobody can say no! Michelle Williams has finally unveiled the highly anticipated video to her single ‘Say Yes’. Reliving her Destiny's Child days, Michelle features Beyoncé and Kelly Rowland on the Gospel record produced by H-Samuels. The song which is originally a Nigerian hymn sang across Africa sees Michelle switch it up with a more urban twist as she pays homage. Shot in New Jersey, and carrying on with the African origin throughout the video with the choreography, and block party. 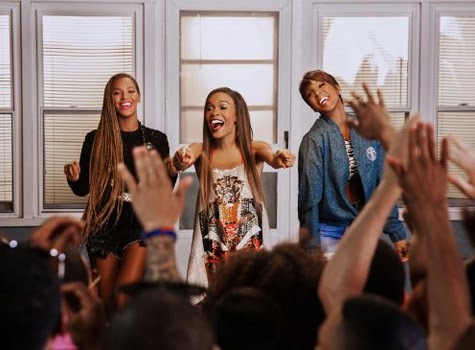 ‘Say Yes’ perceive's the people praising God and having a very good time, especially Michelle, Beyoncé and Kelly. ‘Say Yes’ is the third single off of Michelle William's ‘Journey to Freedom’ album, following up from ‘Fire’ and ‘If We Had Your Eyes’. The album will see its release on September 9 via E1 Music.